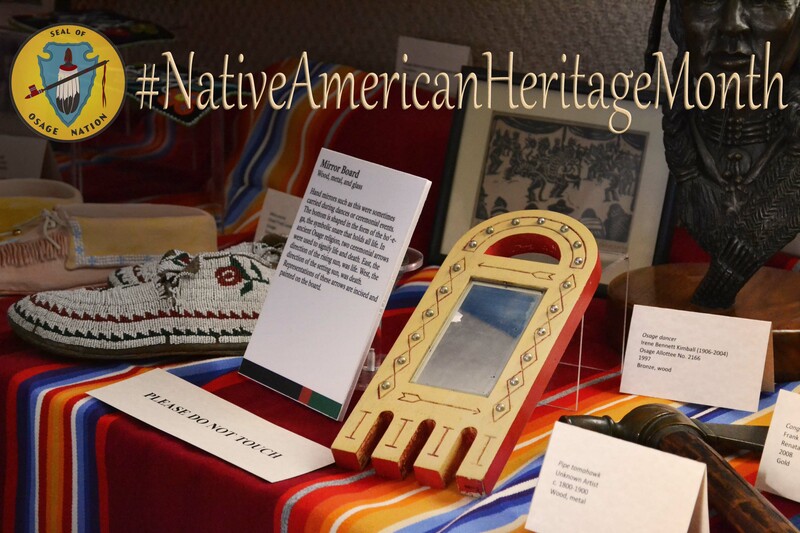 Pawhuska, OK—The Osage Nation Museum is proud to announce the 2nd Annual Mobile Museum. 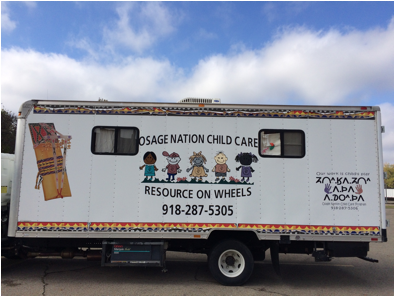 In honor of Native American Heritage month the Osage Nation Museum has a traveling exhibit of items from our permanent collection displayed in the Osage Nation Child Care’s Resource on Wheels van. Last year the Mobile Museum made stops at the public libraries in Osage County. This year the Mobile Museum will again travel throughout Osage County to offer a glimpse of what our museum has to offer to students in grades K-12. Since the mobile museum is being made part of the school day curriculum, these events are not open to the general public. Working closely with the Osage Nation’s Education Department, the ONM staff utilized the school advocates to set up a schedule to travel to each school in Osage County. A part of the ONM’s mission is to create “educational programs that nurture creativity and encourage active learning.” The Mobile Museum is one such program that the ONM is excited to be continuing for its second year.